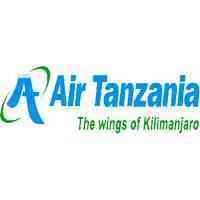 Air Tanzania Company Limited (ATCL) is in the process of revamping its operations and has introduced new equipment to its fleet as part of implementation of its five years Corporate Strategic Plan (2017/2018- 2020-2021). In line with this expansion, the Company is also making some reforms in its structure, internal operations and staffing to accommodate the needs of its business expansion. -Should be a Registered Services Engineer who has in the last ten years been involved in new construction projects of which five years are in rehabilitation or renovation project works.